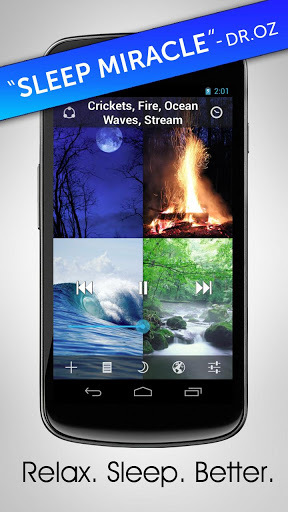 How to Sleep Better with White Noise App in Android? White Noise has been recommended by Dr. Oz as a miracle for better sleep. Now it is time for you to discover why the world is satisfied and sleep, better and comfortably, with White Noise, the app from Android. It features sounds of the environment to help you to relax even in day time and sleep great at night. Do you feel problems to sleep whether you are traveling on a plane or need a quick power nap? Or does your newborn baby wake up in the middle of the night and numerous benefits like this to use White Noise. Even when one is sleeping, human mind is constantly scanning and listening for sounds. But, if it is too quiet, unwanted noises such as faucet drips or even police sirens can interrupt your sleep. White Noise generates a series of sounds of wide range of frequencies to mask those noise interruptions, making you fall to asleep but stay asleep. All the previous issues, previously reported, were fixed. Older How to Make Free Calls & Messages with Viber for Android?